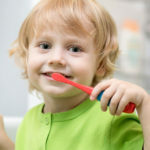 At Dentistry for Children, we understand that when it comes to choosing a dentist for your child that your primary concern is finding a professional that will examine and treat your child without causing fear and pain. This is also our goal. Your child is important to us and we strive to ensure that your child’s dental visits are pleasant and rewarding. We make every effort to schedule your appointment at a time that is most convenient for your schedule. Should you need to cancel or reschedule an appointment, please notify our office 24 hours in advance. When you and your child come in, you will be greeted by our friendly staff and given a tour of the office. We aim to see all our patients promptly at the time of their visit. If during your visit one of our dentists suggests treatment for your child, the front office does their best to inform you of any anticipated costs and schedule for the treatment as soon as possible. Dentistry for Children’s goal is to be transparent so that you, as a parent, are left with no surprises. If you decide to follow through with treatment, the doctor will inform your child of every move they will make and if any anesthetic is required, don’t worry because we offer gentle anesthetics so that your child will not be scared. We also offer nitrous oxide (laughing gas) with parent consent for our most apprehensive little friends. For very young children with extensive dental needs that won’t be tolerated in the office setting, we also offer hospital dentistry. Teaching kids about better oral health and educating them to brush and floss effectively is an important responsibility of the dentist too and Dr. Shebani has a well deserved reputation for excellence, when it comes to not just therapeutic, but preventative and educative care as well. She is clearly the best dentist Washougal WA for all your child’s medical requirements.